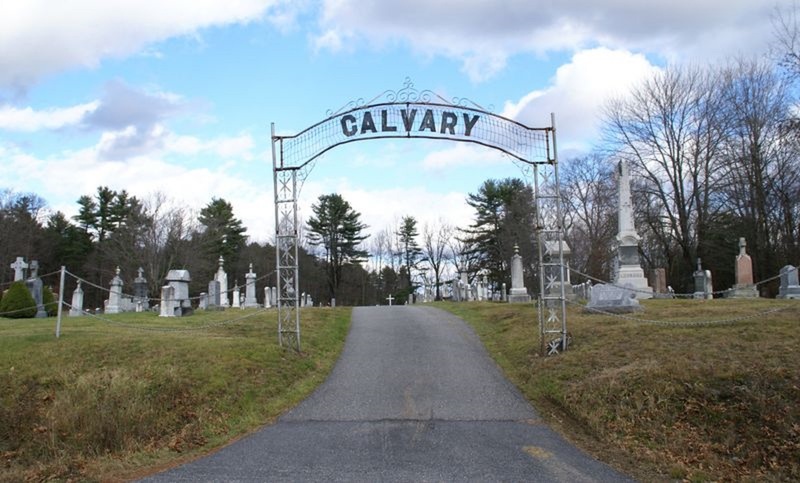 Calvary Cemetery is the newer of two cemeteries at St. Denis Church and is located down the hill from the church; it is the one currently in use. The older St. Denis Cemetery is located next to the church and has been closed for years. Both are maintained by St. Michael's Parish of Augusta.